In the present study, the effects of three months exercise training in the expression of ET-1 gene in lungs tissue were investigated. Twenty male Wistar rats (235±27 g) were maintained on a 12:12 h light-dark cycleand received food and water. Animals were randomly divided into two groups (n = 10). Rats in test group ran on a treadmill for 60 min at a speed of 25 m min-1 daily for 3 months. Total RNA was extracted from the lung tissue and the expression of ET-1 mRNA was assessed by RT-PCR. Analysis of results indicated that the expression of ET-1 mRNA in the lung was significantly higher in the exercise rats than in the control rats (p<0.05). The results of this study were shown that three months exercise increased the ET-1 expression in the lungs that could increase the blood flow of lungs via ETB receptor. ET-1, ET-2 and ET-3 are members of a peptide family that has been the subject of much interest in the past decade (Fagan et al., 2001). ET-1 was found in 1988 from cultured porcine aortic endothelial cells (Yanagisawa et al., 1999). Soon after the discovery of ET-1, two structurally related peptides were identified and termed ET-2 and ET-3 (Inoue et al., 1989). Endothelin-1 is the most abundant isoform and has been best characterized. The lung has the highest levels of ET-1 secreted by endothelium, smooth muscle, airway epithelium and a variety of other cells. ET-1 also circulates in the plasma. In the normal lung, ET-1 mainly localizes to vascular endothelium, airway and vascular smooth muscle cells and to a lesser degree, the epithelium. ET-2 has similar biologic functions as ET-1 and is found in the myocardium, kidney and placental tissues. ET-3 also circulates in plasma and is found in the central nervous system, gastrointestinal tract, lung and kidney although the cellular source is not clear (Arinami et al., 1991). All three endothelins are synthesized as preprohormones and post-translationally processed to active peptides. ET-1 processing has been best characterized and begins with the 212 amino acid peptide (preproET-1), which is then proteolytically cleaved by endopeptidases to big ET-1 (proET-1). The 39 amino acid proET-1 has 1% of the biologic activity of ET-1 and is cleaved by the metalloendoprotease Endothelin Converting Enzyme (ECE), resulting in the 21 amino acid proteins with potent biologic functions (Fagan et al., 2001). ET-1 is a very potent vasoconstrictor, about ten times more than other vasoconstrictors (Haynes and Webb, 1998). There are currently two distinct human endothelin receptors known, endothelin A (ETA) and endothelin B (ETB) receptors, which are members of the seven transmembrane, G protein-coupled rhodopsin superfamily (Lippton et al., 1993). Activation of both ETA and ETB receptors on smooth muscle cells leads to vasoconstriction whereas activation of ETB receptor located on endothelial cells leads to vasodilation by increasing Nitric Oxide (NO) production (Michael and Markewtiz, 1996). Exercise is an external factor that influenced ET-1 expression and secretion. It has been shown that endurance exercise results in a significant redistribution of tissue blood flow, by which the blood flow is greatly increasedin the working muscles, whereas it is decreased in the splanchniccirculation (such as in the kidneys and intestines) and in the nonworking muscle circulation (Armstrong et al., 1987). It has also reported that the production of ET-1 is increased in the circulation ofnonworking muscles by exercise (Seiji et al., 1998a) but the effect of exercise on the ET1 expression in the lung have not been well characterized. Few studies showed that a 4 week exercise did not alter ET-1 expression significantly in the lung (Seiji et al., 1998b). The aim of this study was to evaluate the effect of 3 month exercise on the ET1 expression level in the lung tissues. This study was carried out in Drug Applied Research Center of Tabriz University of Medical Science in Iran in 2007. Animals and exercise protocol: Twenty male Wistar rats (235±27 g) were housed on a 12:12 h light-dark cycleand received food and water. On the day of the experimentthe rats were randomly divided into 2 groups. In test group, 10 animals ran on a treadmill (0% grade) for 60 min at a speed of 25 m min-1 for 3 month. The control group consisted of 10 animalsremained at rest. Forty eight hours after the last exercise, all animals were anesthetized, killed and the lungs were quickly removed and frozen in liquid nitrogen. Lungs were Stored in -70°C for determination of ET-1 mRNA expression by RT-PCR analysis. The expression of β-actin mRNA was also determinedas an internal control. RNA extraction and RT-PCR analysis: Total tissue RNA was extracted by RNX-Plus extraction reagent (Fermentas) according to the manufacturer`s instructions. Total RNA (5 μg) was primed with 1 μg oligo (dT) and reverse transcribed by AMV reverse transcriptase using first-strand cDNA synthesis kit (Fermentas). The reaction was performed at 42°C for 60 min. 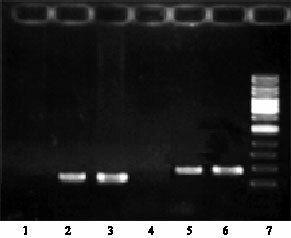 One micoliter of cDNA was used for PCR. The sequences of the oligonucleotideswere as follows: ET-1 primer (Forward): 5`-CTC TGC TGT TTG TGG CTT TC -3`, ET-1 primer (Reverse): 5`-TCG GAC TTC TTT GTC TGC TTG-3`, β-actin primer (Forward): 5`- CCC TAA GGC CAA CCG TGA AAA GAT G -3`, β-actin primer (Reverse): 5`- GAA CCG CTC ATT GCC GAT AGT GAT G-3`. The cycle profile included denaturation for 60 sec at 94°C,annealing for 45 sec at 57°C and extensionfor 1 min at 72°C. The amplified PCR products were electrophoresed on 1% agarose gels, stained with ethidium bromide, visualized by a ultraviolet transilluminator and photographed. The photographs were scanned by a scanner and the quantificationwas performed by computer with scion image software (Scion corporation USA). Statistics: Values are expressed as means±SE. To evaluate differences between the control and exercised groups, t-test was used. p<0.05 was considered statistically significant. The expression of ET-1 mRNA in the lungs of both the control group and the exercise group wasevaluated by RT-PCR analysis. The expression of β-actin mRNA was also determined as an internal control. There were no significant differencesin body weight between the two groups. The lung wet weight was not differed significantlybetween two groups. The results of analysis indicated that the level of expression of ET-1 mRNA in the lung was significantly higher in the exercise rats than the control animals (Fig. 1). In the present study, the expression of ET-1 in the lungs of rats after 3 months exercise was determined. The result of t his study indicate that exercise for a period of 3 month resulted in a significant increase of ET-1 mRNA expression in the lungs of rats. The level of ET1 mRNA in the control animals didn`t changed significantly. Analysis of results also showed that the level of β-actin in exercise and control animals was not significantly differed (Table 1). Endogenous ET-1 contributes to the regulation of vascular tonus through its direct vasoconstrictive action (Rubanyi and Polokoff, 1994). It has previously reported that the circulating plasma concentration of ET-1 is significantly increased by exercise (Maeda et al., 1994). The arteriovenous difference in ET-1 concentration in nonworking muscles was significantly increased after exercise, whereas ET-1 concentration in the working muscles was not significantly different before and after exercise (Maeda et al., 1997). The ET-1 mRNA expression is also increased in internal organs (heart and kidney) by exercise. Earlier findings suggested that the expression of preproET-1mRNA in the kidneys was markedly higher in the exercise rats thanin the sedentary control rats, suggesting that the productionof ET-1 was actually increased in the kidney by acute exercise (Seiji et al., 1998a). Few earlier studies shown that ET-1 expression do not differ significantly after a 4 week exercise in the lungs (Seiji et al., 1998a, b). The results of these studies are contradictory with the present study. Reasons for such differences could be attributed to exercise type and duration. It has been shown that both mechanical factors (such as hemodynamic shear stress) and neurohumoral factors (such as angiotensin II, arginine vasopressin and so on) increase the production of ET-1 in cultured vascular endothelial cells (Emori et al., 1991). It was proposed that during long term exercise, these factors affect the ET-1 expression. Incidentally, it has been seen that exercise increased receptor endothelin B (ETB) expression in working muscle (Spier et al., 2004). We supposed that vasodilatation effect of endothelin in lungs was related to increase in ETB expression during exercise that could increase lung`s blood flow. As well, Endothelin-1 induces vasodilatation via the endothelial cell ETB receptors through generation of endothelium-derived dilator substances, including Nitric Oxide (NO) (Suzuki et al., 1991). This perhaps acts by physiologically antagonizing ETA receptor-mediated vasoconstriction (De Nucci et al., 1988). The results of this study indicated that 3 months exercise can result in increased expression of ET-1 gene in the lung tissues. Arinami, T., M. Ishikawa, A. Inoue, M. Yanagisawa and T. Masaki et al., 1991. Chromosomal assignments of the human endothelin family genes: The endothelin-1 gene (EDN-1) to 6p23-p24, the endothelin-2 gene (EDN-2) to 1p34 and the endothelin-3 gene (EDN-3) to 20q13.2-q13.3. Am. J. Hum. Genet., 48: 990-996. Armstrong, R.B., M.D. Delp, E.F. Goljan and M.H. Laughlin, 1987. Distribution of blood flow in muscles of miniature swine during exercise. J. Applied Physiol., 62: 1285-1298. De Nucci, G., R. Thomas, P. D'Orleans-Juste, E. Antunes and C. Walder et al., 1988. Pressor effects of circulating endothelin are limited by its removal in the pulmonary circulation and by the release of prostacyclin and endothelium-derived relaxing factor. Proc. Nat. Acad. 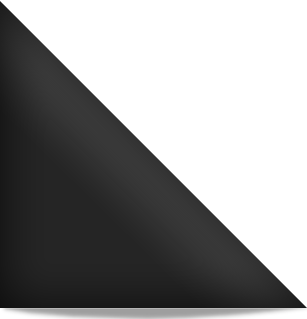 Sci., 85: 9797-9800. Emori, T., Y. Hirata, K. Ohta, K. Kanno and S. Eguchi et al., 1991. Cellular mechanism of endothelin-1 release by angiotensin and vasopressin. Hypertension, 18: 165-170. Fagan, K.A., I.F. McMurtry and D.M. Rodman, 2001. Role of endothelin-1 in lung diseases. Respir. Res., 2: 90-101. Haynes, W.G. and D.J. Webb, 1998. Endothelin as a regulator of cardiovascular function in health and disease. J. Hypertens., 16: 1081-1098. Inoue, A., M. Yanagisawa, S. Kimu, Y. Kasuya and T. Miyauchi et al., 1989. The human endothelin family: Three structurally and pharmacologically distinct isopeptides predicted by three separate genes (cardiovascular control/vasoconstrictor/vascular endothelium/synthetic peptide/DNA cloning). Proc. Nat. Acad. Sci., 86: 2863-2867. Lippton, H.L., T.A. Hauth, G.A. Cohen and A.L. Hyman, 1993. Functional evidence for different endothelin receptors in the lung. J. Applied Physiol., 75: 38-48. Maeda, S., T. Miyauchi, K. Goto and M. Matsuda, 1994. Alteration of plasma endothelin-1 by exercise at intensities lower and higher than ventilatory threshold. J. Applied Physiol., 77: 1399-1402. Maeda, S., T. Miyauchi, M. Sakane, M. Saito and M. Maki et al., 1997. Does endothelin-1 participate in the exercise-induced changes of blood flow distribution of muscles in humans?. J. Applied Physiol., 82: 1107-1111. Michael, J.R. and B.A. Markewitz, 1996. Endothelins and the lung. Am. J. Respir. Crit. Care. Med., 154: 555-581. Rubanyi, G.M. and M.A. Polokoff, 1994. Endothelins: Molecular biology, biochemistry, pharmacology, physiology and pathophysiology. Pharmacol. Rev., 46: 325-415. Seiji, M., M. Takashi, K. Tsutomu, G. Katsutoshi and M. Mitsuo, 1998. Exercise causes tissue-specific enhancement of endothelin-1 mRNA expression in internal organs. J. Applied Physiol., 85: 425-431. Seiji, M., M. Takashi, S. Satoshi, K. Tsutomu and I. Motoyuki et al., 1998. Prolonged exercise causes an increase in endothelin-1 production in the heart in rats. Am. J. Physiol. Heart Circ Physiol., 275: 2105-2112. Spier, S.A., M.D. Delp, C.J. Meininger, A. Donato and M.W. Ramsey et al., 2004. Effects of ageing and exercise training on endothelium-dependent vasodilatation and structure of rat skeletal muscle arterioles. J. Physiol., 556: 947-958. Suzuki, S., J. Kajikuri, A. Suzuki and T. Itoh, 1991. Effects of endothelin-1 on endothelial cells in the porcine coronary artery. Circ Res., 69: 1361-1368. Yanagisawa, M., H. Kurihara, S. Kimura, Y. Tomobe and M. Kobayashi et al., 1988. A novel potent vasoconstrictor peptide produced by vascular endothelial cells. Nature, 332: 411-415.